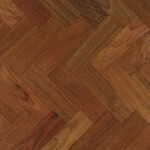 Wooden floors are elegant, beautiful and timeless and can last for decades if looked after properly. 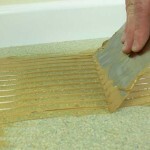 Most types of wooden flooring are reasonably durable and hardwearing. 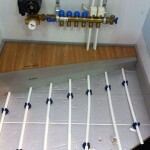 However, they will still need caring for and protecting from damage. 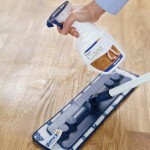 Looking after any type of wooden floor is easy and straight forward if you follow the advice below. This entry was posted in Wood Flooring and tagged protecting wooden flooring, cleaning wooden floors, caring for hardwood flooring, maintaining hardwood, cleaning hardwood floors, looking after hardwood on May 31, 2018 by Chris Elliott. 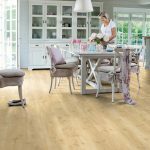 If you are replacing an old floor, then the likely choices are between the two most popular types of floor covering: wooden flooring or carpet. 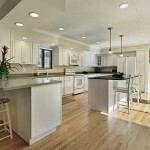 Both have their pros and cons so it is worth thinking about which will best suit your home. This entry was posted in Wood Flooring and tagged engineered wood, hygienic floor, Vinyl, wood or carpet, laminate, LVT, wood flooring on April 25, 2018 by Chris Elliott. 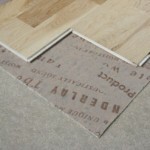 Should I choose Engineered or Solid Hardwood Flooring? 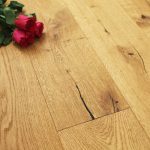 You would find it difficult to tell the difference between engineered or solid hardwood flooring once they have been installed, but they are very different types of flooring. They are both made from real hardwood, but in very different ways. 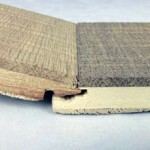 The main difference between engineered and solid wood flooring is in the construction of the planks. This, in turn, affects how, when and where they can be used. The choice between engineered or solid usually depends upon your preference and also where and how you want the flooring to be fitted. This entry was posted in Engineered wood flooring, Solid wood flooring, Wood Flooring and tagged benefits of hardwood, engineered hardwood, solid hardwood, solid or engineered, fitting hardwood on March 23, 2018 by Chris Elliott. This entry was posted in Wood Flooring and tagged wooden floor cleaning products, caring for a wooden floor, shiny hardwood floor, cleaning hardwood floors, cleaning floors, wooden floor cleaning, Cleaning Tips for Hardwood Floors on February 23, 2018 by Chris Elliott. This entry was posted in Wood Flooring and tagged flooring plank wodths, wide plank flooring, distressed hardwood floor, stained wood floor, parquet wood floor, grey wood floor, wood flooring 2018, wood flooring trends, Bamboo flooring on January 31, 2018 by Chris Elliott.